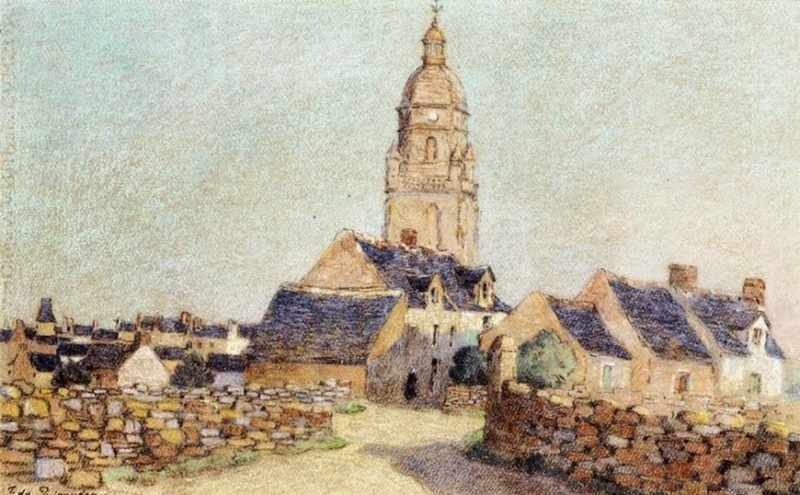 painting by Ferdinand du Puigaudeau (1864-1930). He painted mostly outdoor scenes at sunset or in moonlight. Early in his career the outdoor scenes focused on the inhabitants of the area and their lifestyle, while later work focused just on the scenic view. This image is a rare view for this painter: full sun at mid-day washes out most color, leaving the form of the houses and great central tower in relief.